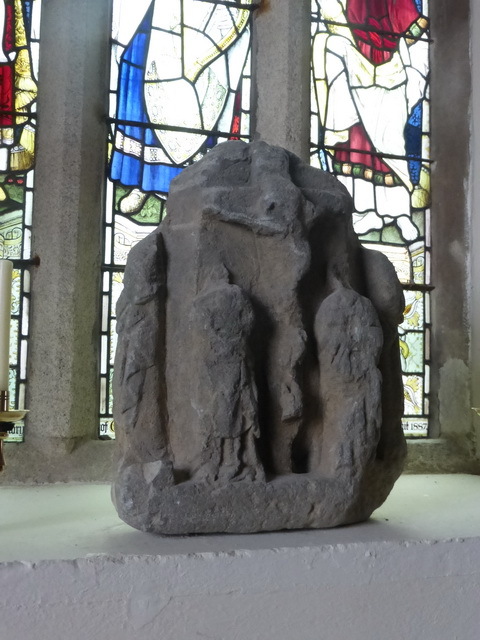 St Newlina stands in the middle of the unusually-named village of St Newlyn East. From the outside, the two transepts appear rather large, particularly the north one. The church has been through some pretty extensive restoration and re-organisation. 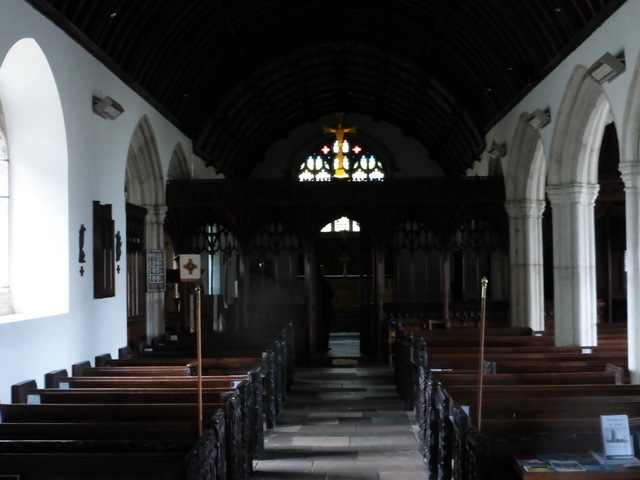 It has a nave, south aisle and two transepts. The Arundell family, owners of the local Trerice House, played an important part in its history. The former south aisle chapel was the Arundell Chapel and has a vault beneath it. It has since been converted rather awkwardly into a vestry and space for the organ. The nave is dominated by a Victorian rood screen which has little joy about it. Hidden in the parclose screen bordering the vestry are some coloured panels from the original screen. Some original C15 bench ends featuring the symbols of the Passion and surmounted by some worn but charming and woolly wild beasts, have been artfully incorporated into the modern pews. The remains of a lantern cross head stands over the Lady Chapel altar in the north transept, a pale shadow of the Arundell’s other lantern cross at Mawgan in Pydar. Beside this altar, the steps to the rood have been used to provide access to the pulpit. Outside, in the south wall of the church, is a fig tree which seems quite healthy. The legend is that this grew from St Newlina’s staff. ‘Upon it lays an dreadful curse,/Who plucks a leaf will need a hearse.’ We did not risk taking a cutting.